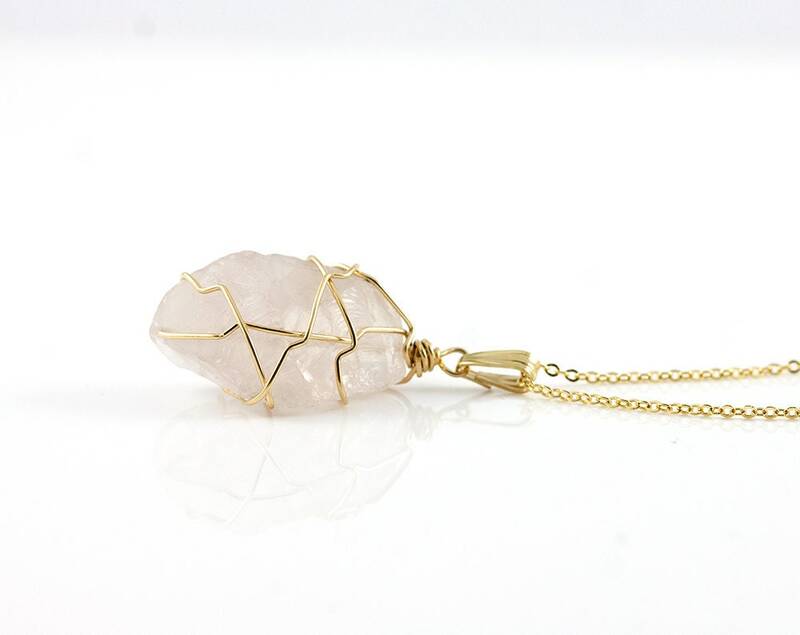 This beautiful necklace includes approximately 20x11 mm rose color natural quartz stone, wire wrapped and hanging from 14K Gold Filled or Silver bail and chain. 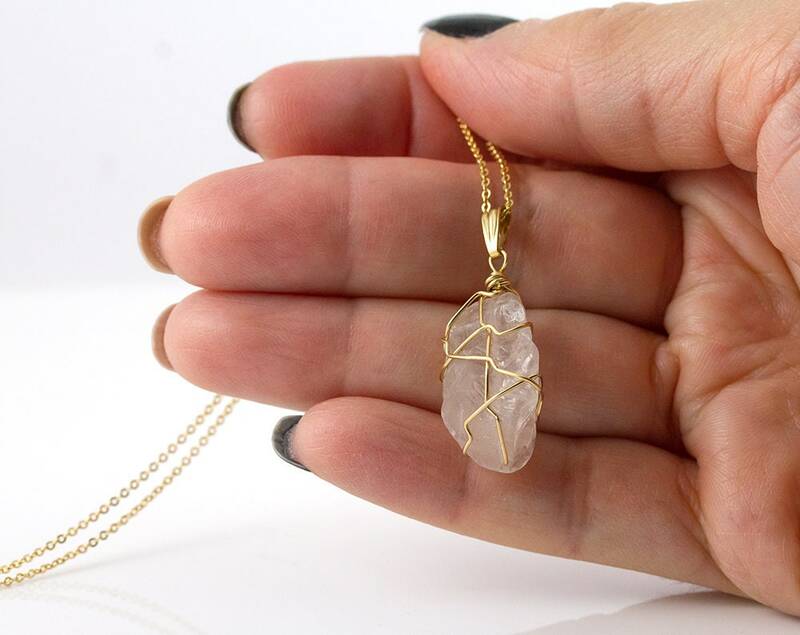 This natural and rough stone gives the necklace a delicate appearance, which makes the necklace a perfect gift for a mother of bride or groom, your bridesmaids or for your loves ones. 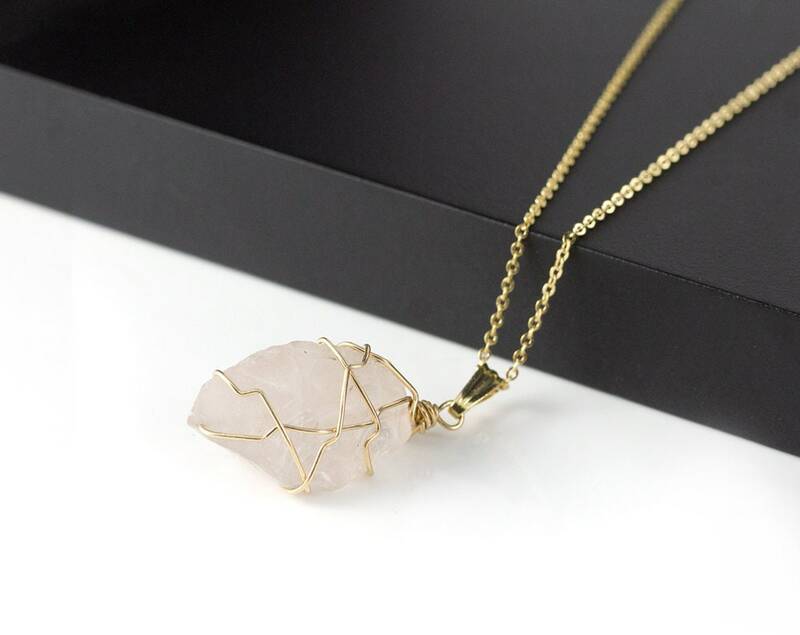 The Quartz stone has pink color variance from pale to strong and are semi-transparent, often looking as if crackled. Size, shape and color may slightly vary as the stone is natural. 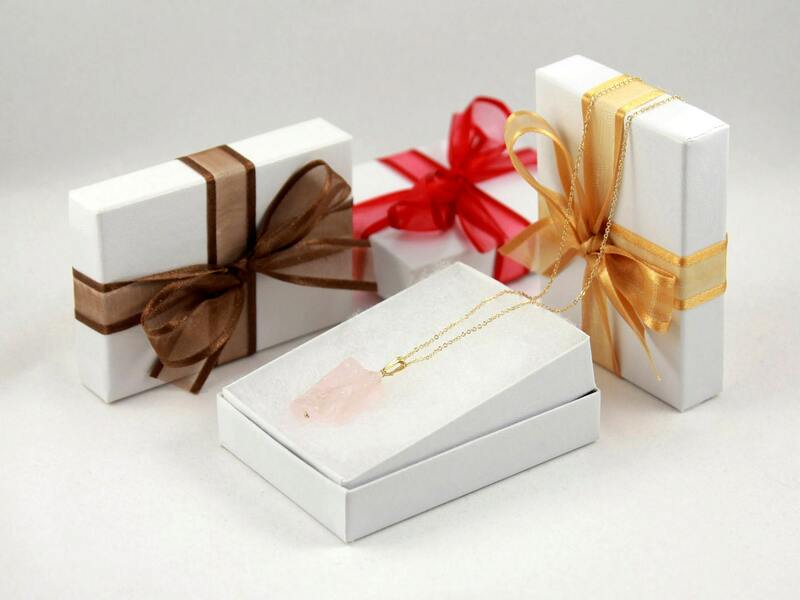 The necklace comes in a nice gift box and It is ready for gift giving! 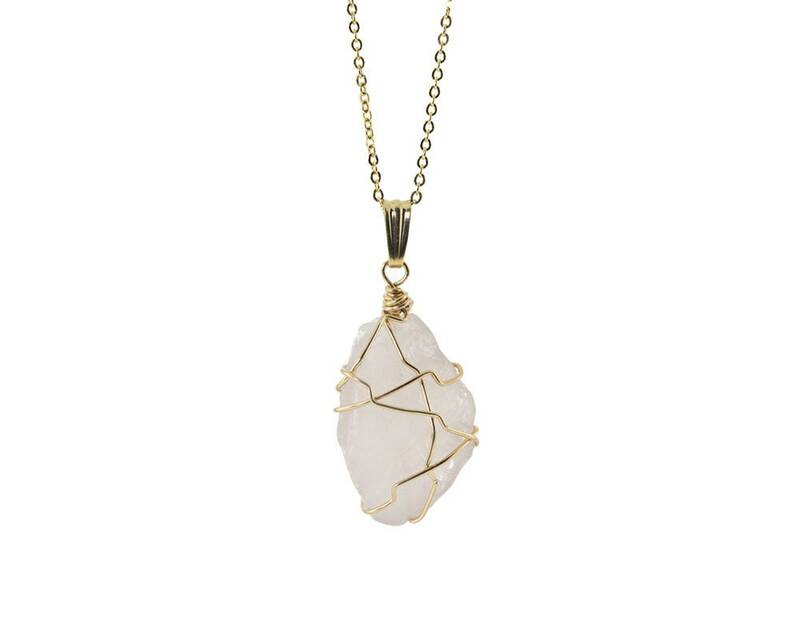 The necklace is available in both Sterling Silver and 14K Gold Filled.